Sometimes, it may be difficult to tell whether you have a tree that needs to be removed, or if pruning and health maintenance will solve any issues the tree may be having. At times, trees may appear to be dying or even dead, when they are simply under stress due to environmental factors such as, pests, traffic, high or low water levels and nutrient levels in the surrounding terrain, or even human interaction. There are other times when construction projects may require the removal of trees, due to root or branch intrusion into the area, or possibly the entire tree may be in the construction zone. If this becomes neccessary, you will want an experienced arborist to be in on this decision. Sometimes the tree or trees in question may not need to be removed, and there many be options, that building contractors are not always aware of, that only an experienced tree service professional can offer. Our professional arborists will assess and evaluate your situation thourouglly to determine the appropriate course of action. 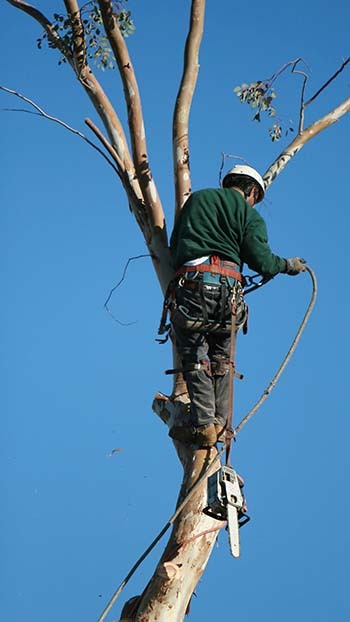 If removal of any trees are necessary, then we will discuss other options, such as relocating, or replacing the tree. The removal of any tree has a direct impact on the surrounding environment, including wildlife, other trees, lawn, shrubs and other adjacent landscaping, and should always be given careful thought and consideration before proceeding. Once a tree has been removed all of it's surrounding will be immediately exposed to more water from rain, heat and light from the sun, and possible effects from wind. Pests and animals who may have there habitat in the tree being removed will migrate to another tree or plant in the local area. 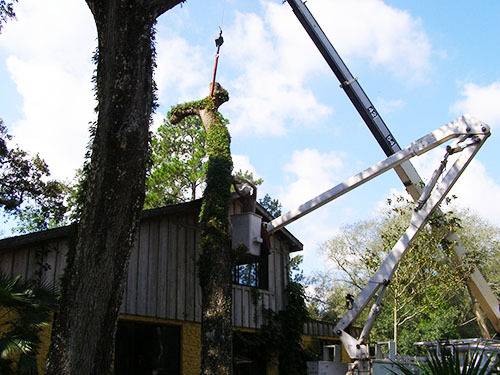 When it becomes neccessary to remove a tree, whether dead or alive, with more than 20 years experience, the experts who work with DelrayTreeService.com have the technical expertise to get the job done safely and expeditiously. Safety is JOB ONE! Our arborists are trained to, not only manage the removal of the tree, but to protect your property, and nearby properties in the process. We have the equipment to complete every element of the job that you have hired us for, and are Licensed and Insured for your added protection. At DelrayTreeService.com we have served the Delray Beach and surrounding communities for over 20 years with skilled tree removal services, and look forward to serving you.